Designed to be worn on the hips, the Z-Two features a longer rise with a slim fit through the thigh, and slightly tapered ankle. 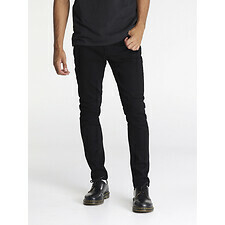 Finished in a jet black comfort stretch denim that can be styled up or down with a rolled hem. The product is very good, fits well and allows you to move around easily.